The mental health project in Liberia is “small-small,” as they say around here—starting to stand on its own legs. Progress has been slow and steady and, daily, we see the seeds of months of diligent groundwork bearing fruit. Our presence is in four primary health centers, two of them urban and two of them rural. Our mission is clear: to assist and support Ministry of Health mental health clinicians, ever-mindful of avoiding dependency on MSF to the extent possible. Sustainability, long after MSF presence is just a memory, is the goal. Prior to MSF’s arrival, outpatient options for mental health treatment were negligible, especially due to absence of medications. Since the doors opened in September, more than 1,000 patients have sought help, about half for psychiatric problems and half for seizure disorders which, at this point, still fall within the bailiwick of mental health. Front line treatment is provided by Ministry of Health mental health clinicians. They receive support from MSF mental health clinicians, of whom there are two, each assigned to two of the clinics. There is one expatriate psychiatrist on the team, always available for telephone consultation. The psychiatrist makes in-person visits one day per week to each of the clinics, sitting in on consultations, offering gentle support and guidance, and providing weekly trainings in conceptualization of cases, diagnosis, and treatment. 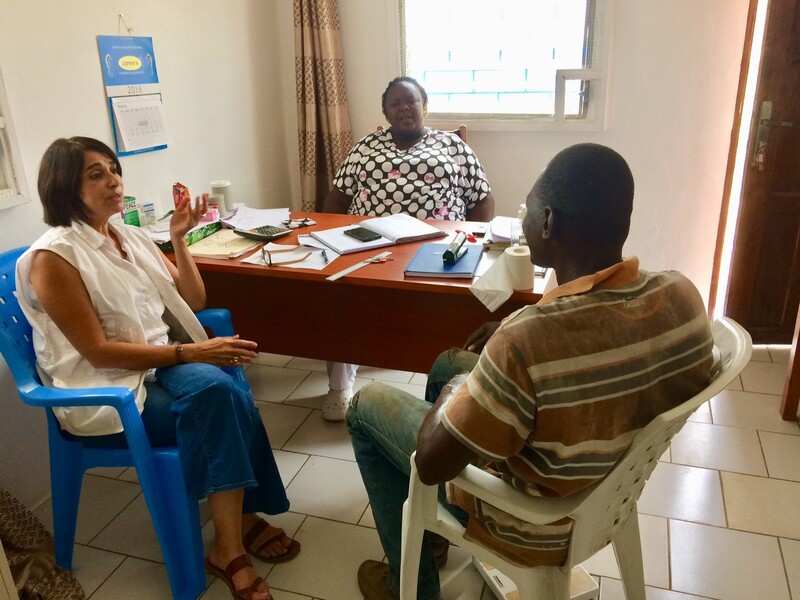 In addition to the work within the clinics there is a small army of general community health volunteers who are assisted by MSF psychosocial workers. They are out in the communities daily, raising awareness of what constitutes mental illness, encouraging reduction in stigma, and making prospective patients, their loved ones, and community leaders aware of the services that are now available. Most referrals to the clinics are through these tireless efforts. It’s an elegant structure that holds great promise and this is only the beginning. Our database is just about up and running. It will provide statistical evidence for what we already know: this project is providing invaluable services where little to nothing was available before to a population that has been, historically, stigmatized and neglected. We are full of pride for what has been achieved, and we move forward with optimism and a sense of purpose.